17-Oct-17 Tuesday Purple & White No Bus 3:00 P.M. 3:30 P.M.
4-Nov-17 Saturday Box Elder Invite (Weber, Davis, Riverton and Roy) No Bus 7:00 A.M. 8:00 A.M.
Nov 17-18, 2017 Fri/Sat Thanksgiving Invitational @ South Davis Rec. Center FRI - 9:30 A.M. SAT - 5:30 A.M. FRIDAY - 11:00 A.M.
SATURDAY - 7:00 A.M. FRIDAY - 1:00 PM. 21-Nov-17 Tuesday Ridgeline, Logan and Morgan @ Box Elder No Bus 3:00 P.M. 4:00 P.M.
Dec 1-2, 2017 Fri/Sat Riverton Silver Rush Invitational FRI - 12:15 P.M. FRI  2:00 P.M. SAT - 9:30 A.M. FRI  3:45 P.M. SAT  9:30 A.M. SAT  10:45 A.M.
8-Dec-17 Friday Box Elder, WX and Bountiful @ Viewmont (South Davis Rec. Center) 1:00 P.M. 2:30 P.M. 3:30 P.M.
15-Dec-17 Friday Wasatch Invitational in Heber 5:45 A.M. 8:00 A.M. 10:00 A.M.
2-Jan-18 Tuesday Box Elder @ Olympus 1:00 P.M. 2:30 P.M. 3:30 P.M.
9-Jan-18 Tuesday Park City @ Box Elder No Bus 3:00 P.M. 3:45 P.M.
11-Jan-18 Thursday Roy @ Box Elder No Bus 3:00 P.M. 3:30 P.M.
18-Jan-18 Thursday Box Elder @ Bingham 1:15 P.M. 3:00 P.M. 3:30 P.M.
27-Jan-18 Saturday Region V Championships @ South Davis Rec. Center 6:00 A.M. 7:30 A.M. 9:00 A.M.
On Saturday, November 4th, the Box Elder Bees hosted the Box Elder Invite. Those in attendance included: Weber High School, Davis High School, Riverton High School and Roy High School. Jared Laws finished with a win in the 100 Fly, while Clip Taylor finished with two individual wins in the 200 I.M. and the 100 Backstroke. 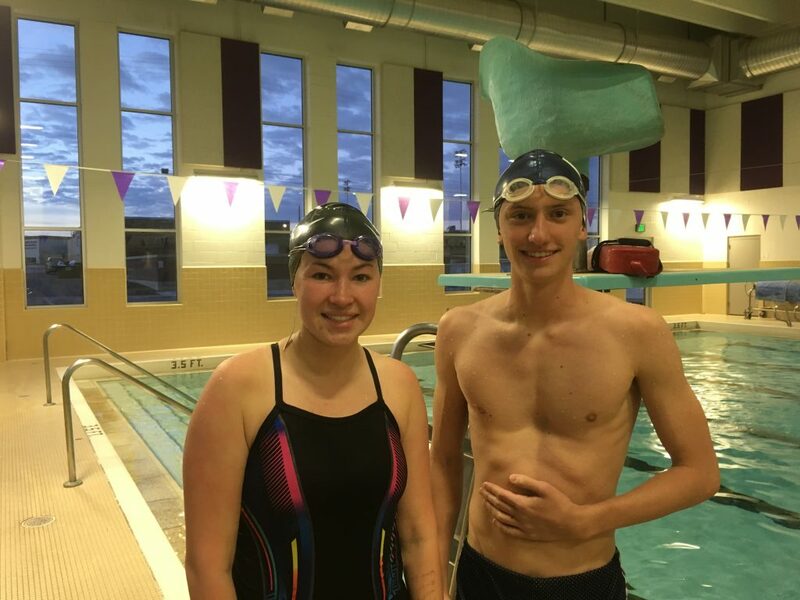 Both swimmers broke Invite records in each of the races they swam. The boys team also won the Medley Relay (Clip Taylor, Eric Anderson, Jared Laws, Cameron Penfold) and the 400 Free Relay (Cameron Penfold, Ben Daines, Jared Laws, Clip Taylor). For the first meet of the season, there were some awesome swims. Our girls team was positioned to take fourth overall, but instead stepped up and finished 2nd despite only fifteen girls competing. The boys were ranked third coming into the meet and kept the championship trophy at home for the fourth year in a row. The next meet will be on Fri/Sat, November 17th & 18th. We had some pretty high expectations coming into this meet. Our girls finished in the top 10 last year and our boys were returning champions. 27 teams showed up this year to the Thanksgiving Invitational and competition was as fast as ever. 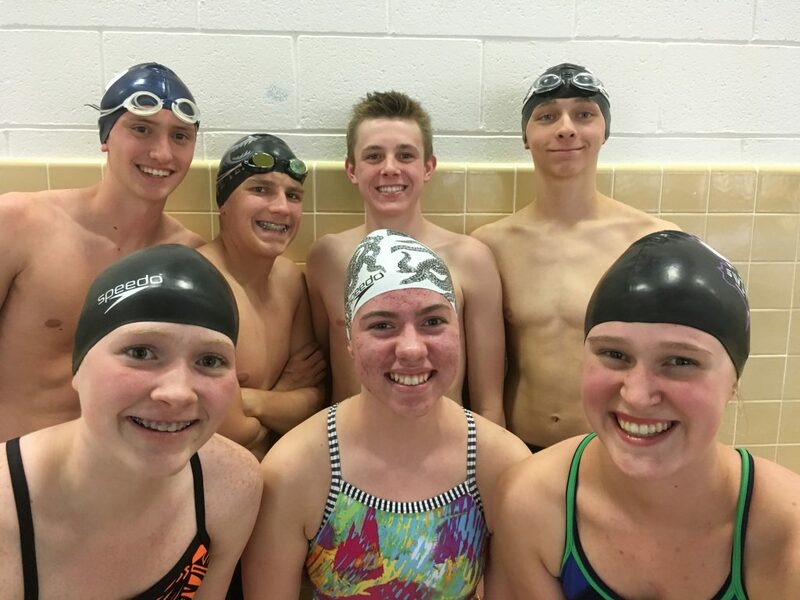 Almost all of our swimmers had a great meet and took off time. Here are few of those who swam well. 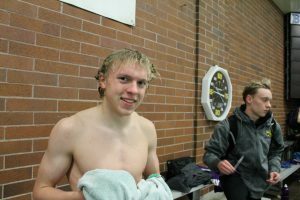 Preston Biskey dropped 24 seconds in the 500 free from the Box Elder Invite. 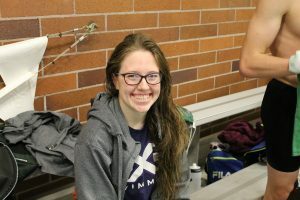 Emily Blaine dropped 20 seconds in the 500 free. Boyd Brough dropped 7 seconds in the 100 free. Oliver Capener dropped 4 seconds in the 100 free. Savannah Corson dropped 4 seconds in the 200 I.M. Ben Daines dropped 17 seconds in the 500 free. Ben Hale dropped 5 seconds in the 100 free. Kinsey Hale dropped 10 seconds in the I.M. and 11 seconds in the 100 back. Kimberly Hansen dropped 5 seconds in the I.M. Mark Harrison dropped 3 seconds in the brst. Dane Jensen dropped 7 seconds in the 200 free. Breanne Jones dropped 3 seconds in the fly. Griffin Keller cut 3 seconds in the 200 free. Andrew Monson dropped 13 seconds in the 500 free. Devin Monson dropped 3 seconds in the 100 brst. Isaac Panter dropped 9 seconds in the 100 brst. Corban Perkins dropped 4 seconds in the 200 free. Anna Rupper had a huge drop in the 200 I.M. cutting 14 seconds. Clip Taylor dropped 2 seconds in the 200 I.M. Annie Ward dropped 14 seconds in the 100 brst. Jacob Williams dropped 2 seconds in the 100 free. We had several more swimmers drop time and swim fast. All in all it was a great meet. Our girls finished 20th and the boys won 1st place. 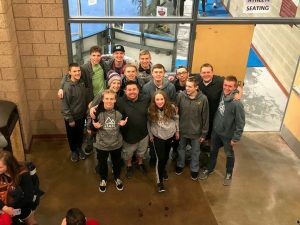 Our next meet is Tuesday, November 21st at 4:00 P.M.
Ridgeline and Morgan came to visit Box Elder before the Thanksgiving break. Boys came away victorious and the girls lost to Ridgeline, but outscored Morgan for the win. 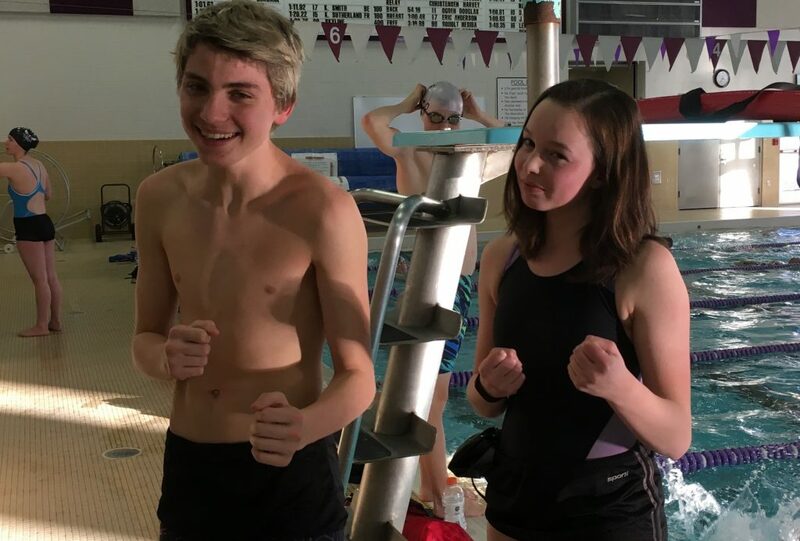 Swimmers of the meet were Savannah Corson and Clip Taylor. The Riverton Silver Rush was an awesome meet for our team. Jordan, Riverton, West and Herriman were in attendance. 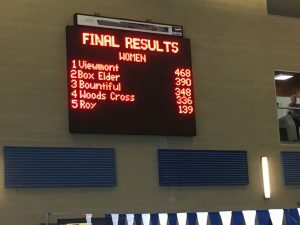 Our girls swam to a third place finish (just missing 2nd – Riverton) and our boys brought home the first place trophy. Brayden Peterson swam in his first meet of the season and he didn’t disappoint. He swam to best times in both the 50 and 100 freestyle. He was the male swimmer of the meet. Anna Rupper earned her 2nd “swimmer of the meet” honor posting best times in the 200 free, 100 fly and relays. This was our best meet to date. 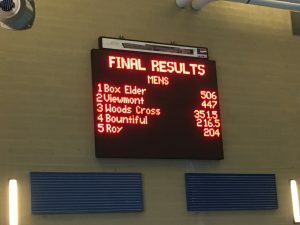 Box Elder posted more best times than any previous meet this season. 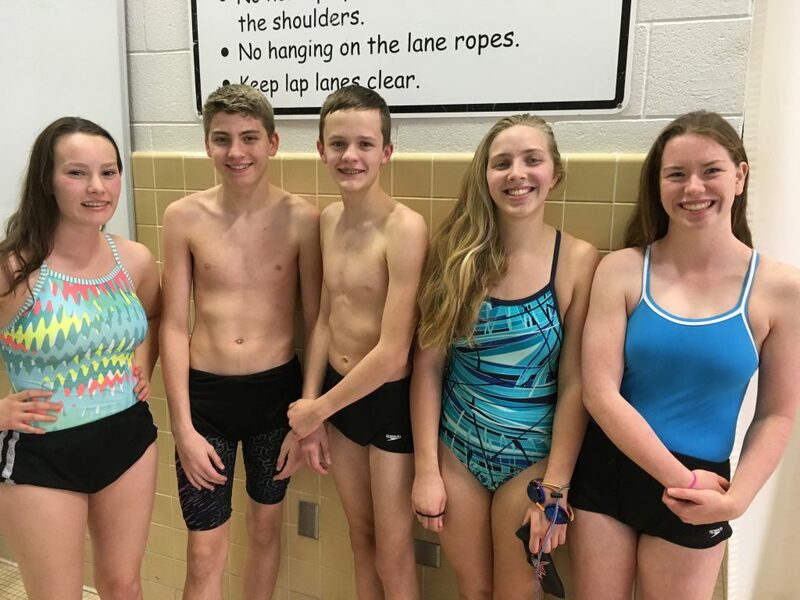 Swimmers of the meet include Annie Ward, Brayden Petersen, Hunter Jensen, Kinzie Hale and Kitsel Lusted. Girls finished 2nd and the boys brought home another win.